DriverFinder - download in one click. Virus free. Download the latest version of DriverFinder with just one click, without registration. It comes with a safe official web installer for Windows. DriverFinder is a program designed to rescue your computer from the outdated information and annoying errors. If your computer is not able to detect external devices, this program will easily solve this problem as well. It will scan your Windows system and reveal all issues automatically. Furthermore, you will be surprised how easy it is to search and auto-install the drivers. 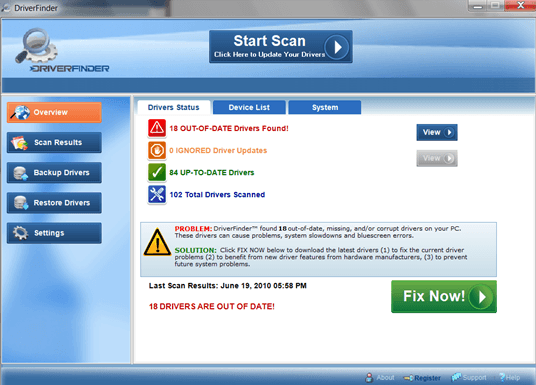 The program lets you quickly scan and detect your installed drivers, update them and download the new ones if required. The corrupted and outdated drivers are a common problem among almost all PC/laptop users. 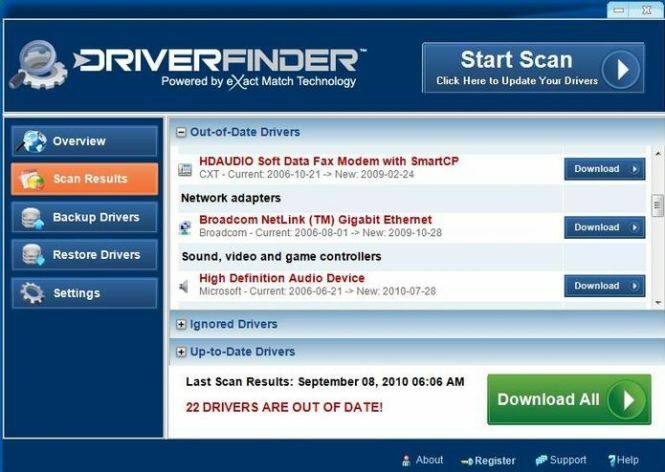 If you don't want to be in that number anymore, look at DriverFinder's features and get convinced that it will simplify the PC management process once and for all. You might be surprised when downloading the drivers manually from the Internet since not all of them are suitable for your personal computer. You should know that a lot of factors must be taken into account like PC model, brand, OS, hard disk space and so on. The program's Precision PC Scanning Technology guarantees finding the most suitable and updated drivers for you personally. The most enjoyable thing is that this process is automatic.